It’s no secret that I love a good cocktail. And in summer there is no cocktail I like better than a margarita! 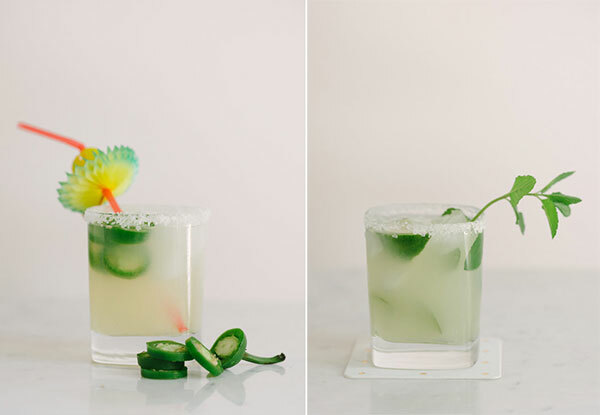 My two go-to margarita recipes are complete opposites, one brings the heat and one the sweet. My Peppered Margarita is swimming with jalapenos while my St. Germain margarita is accented with mint and elderflower. Cheers! truly, MKR. 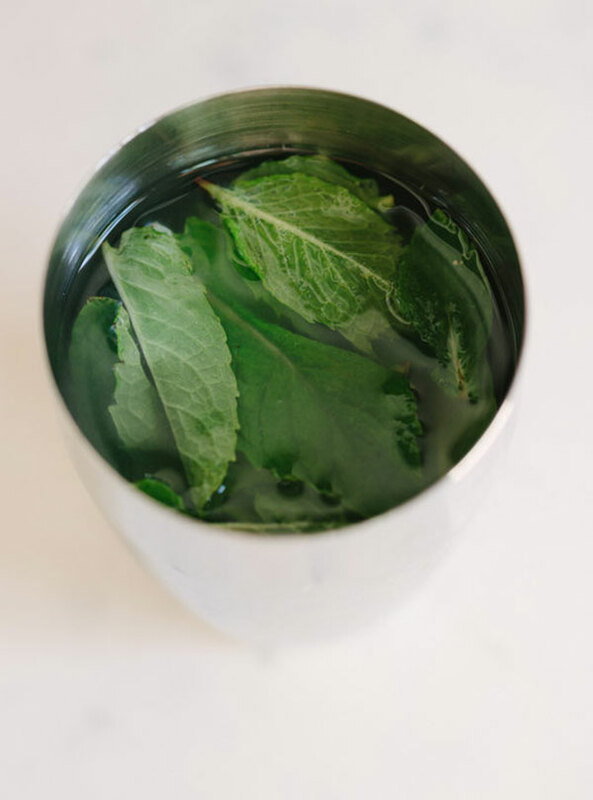 In a cocktail shaker add mint leaves and muddle. Add ice, tequila, St. Germain, and lime juice. Shake and test, if sour add simple syrup. 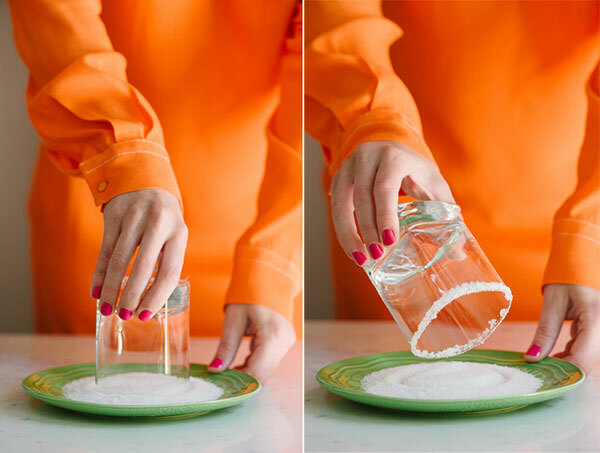 Take one lime slice and run it around the rim of your glass then immediately dip glass into salt and twist. 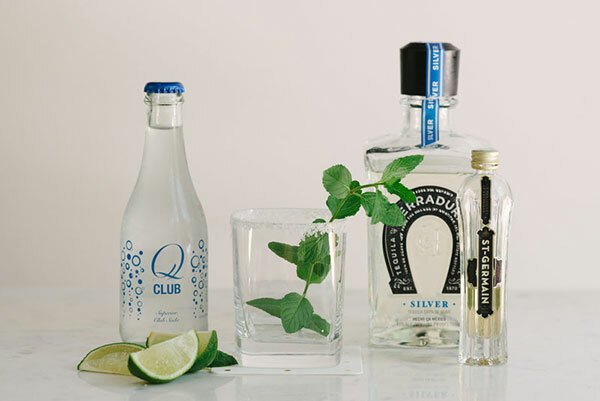 Fill glass with ice and pour margarita mixture, add club soda. 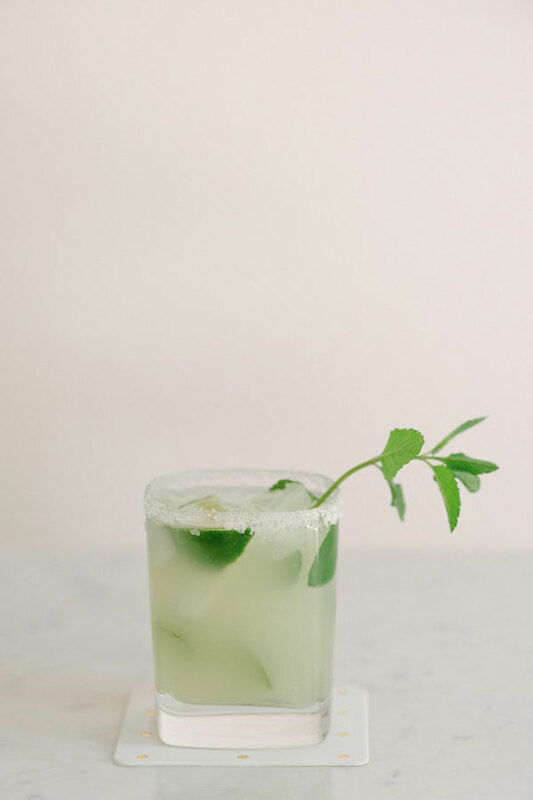 Garnish with a mint sprig and lime. In a cocktail shaker add ice, tequila, 3-6 slices of jalapeno complete with seeds, and lime juice. Shake and test, if sour add simple syrup. 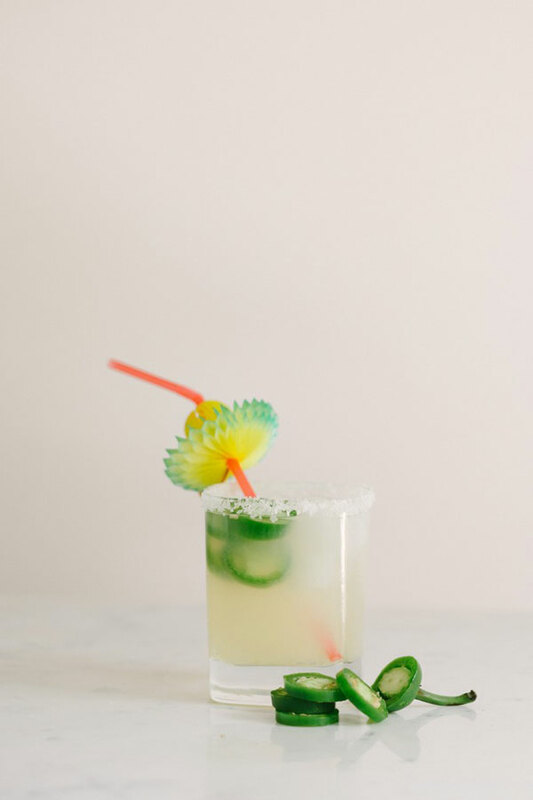 Garnish with a lime and sliced jalapeno. Two lovely variations – ahh SO thirsty! !